Free/ donation class on Wednesdays @ 5:45 pm -7:00 pm in the Weaverville United Methodist Fellowship Hall. All levels welcome, bring a mat, towel, blanket (floor is hard) and any other props you like. Some mats are available. See you there, HAPPY SPRING!!! Your YOGA play date for the week! Private and semi private yoga sessions available in my home studio beginning at $65.00 per hour. Please contact me for details and scheduling. Classes are small and you receive hands on attention with asanas (poses) but sometimes a private session is a great way to tune up your practice. I can devote ALL my attention to you and together we can take your practice to the next level. Or explore things that we may not cover in class, in more depth. If you are uncomfortable in a class setting or new to yoga a few private sessions can familiarize you with the practice and what we are asking of your body. Sometimes it’s just fun to schedule a private practice with a friend. Sessions are $60.00 per hour. 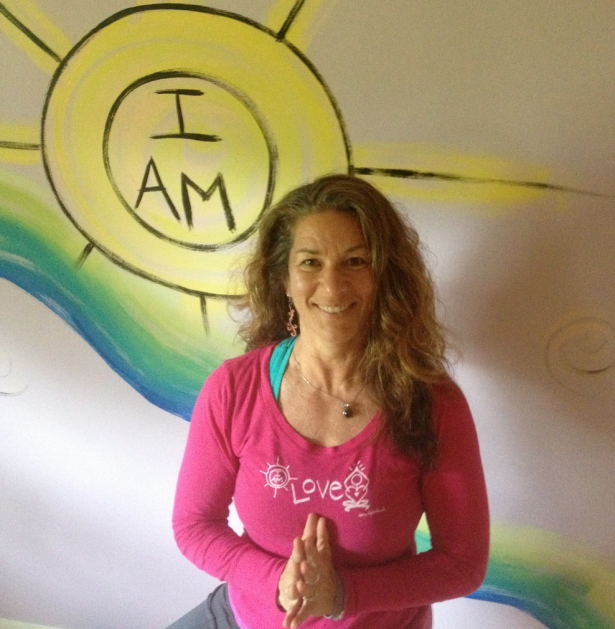 Please email me at donna@iamlivinglovinglaughing.com to get in touch regarding my Yoga teaching, private classes and so forth. You can call (561) 866-2280. Read what others have to say about my teaching. We are planning some wonderful workshops and retreats for 2016. Yoga, play and painting! Stay informed by joining our mailing list!